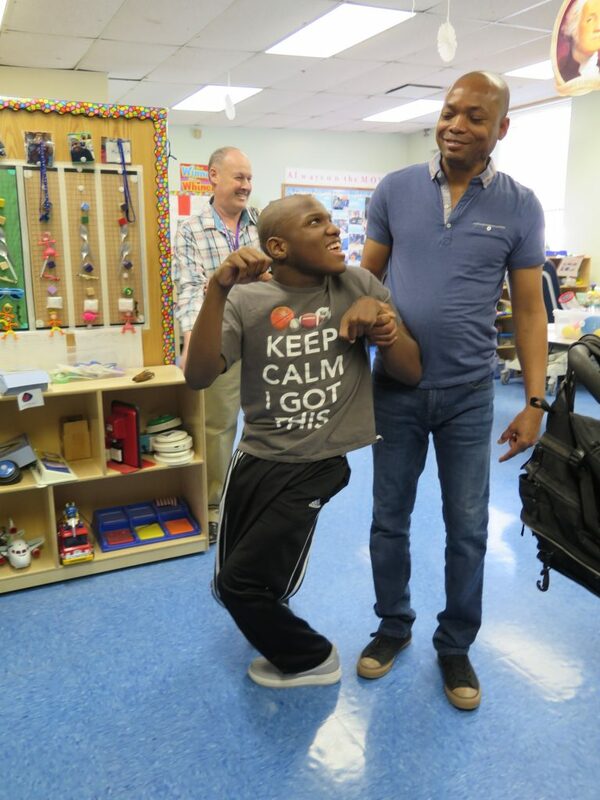 Congratulations to Oliver Pierre, the Jesse J. Kaplan School MOVER™ of the Month for March! Oliver’s personality shines through the many activities he is able to accomplish. He can be seen in the classroom sitting at the table making requests for toys, activities, food and drinks. 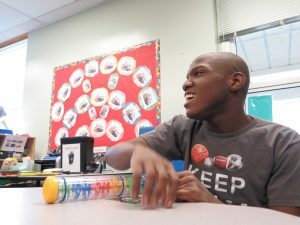 Oliver walks with assistance to the SMART board to participate in classroom activities, such as morning meeting and story time, and can eat and drink independently. His sense of humor makes everyone smile. Great job Oliver, we are proud of you! Kaplan’s MOVE™ (Mobility Opportunities via Education) program combines therapy and education to teach children with physical disabilities and complex needs the functional skills of sitting, standing and walking. MOVE™ aims to give children an opportunity to lead more independent, and therefore more fulfilling lives. 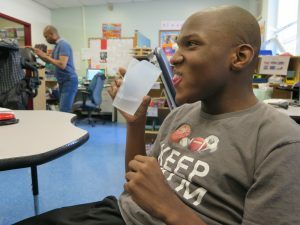 For some, this might be learning to hold their own cup; for others it might be learning to walk independently and having the opportunity to explore their environment.